Design and develop a responsive website with an intuitive user interface. 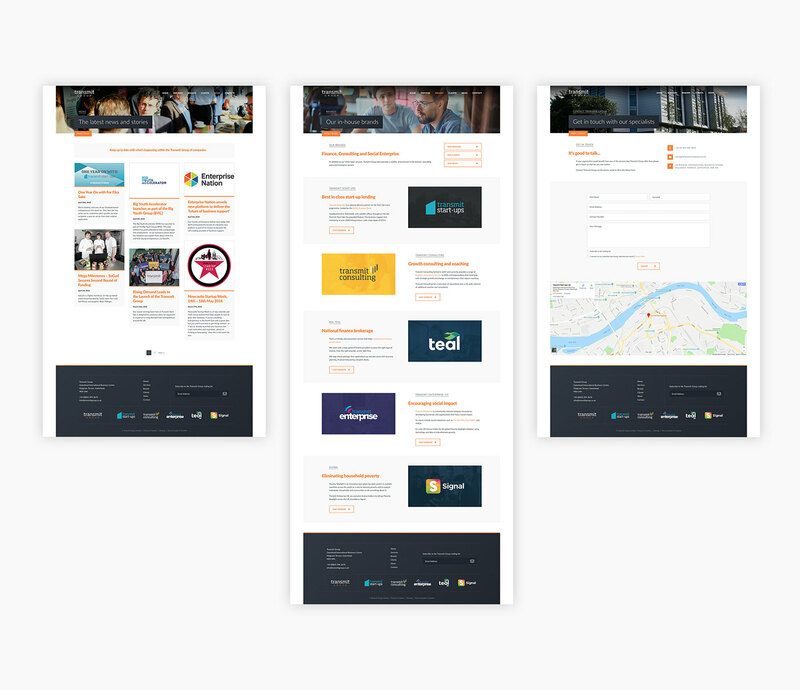 The project had to be modern, professional and have great UX to mirror the Transmit Group approach. Transmit Group provide outsourced services to the business enterprise and finance sectors. They help enterprise agencies, fund managers, government departments, councils and development agencies deliver programmes effectively. We combined fantastic UI design with a clean, professional style. This helps build visitors' confidence in the Transmit Group as an excellent source of services, help and advice. 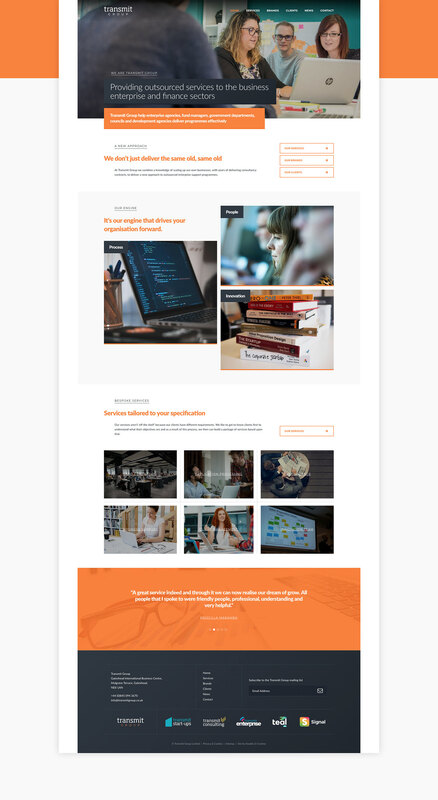 With the Transmit Group being an umbrella brand, we needed the website to look unique but capture the essence of the other Transmit websites within the Transmit Group. 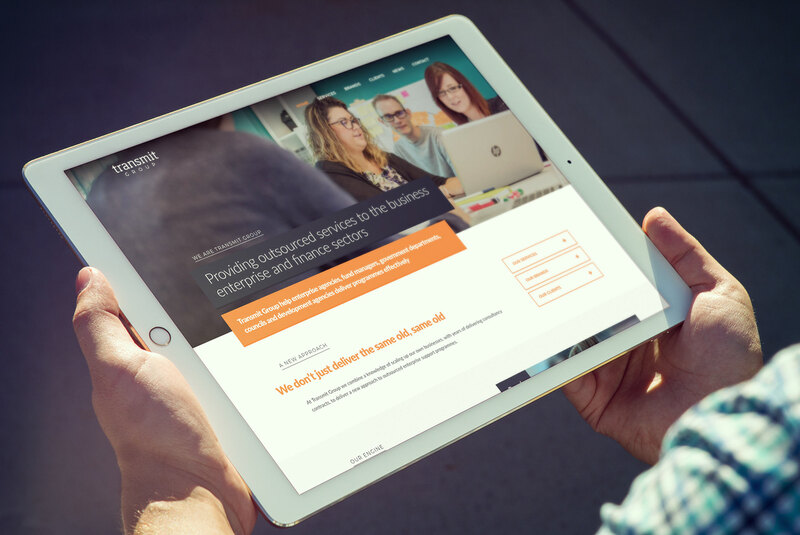 We achieved this by incorporating subtle colour, typography and branding references from their existing websites. 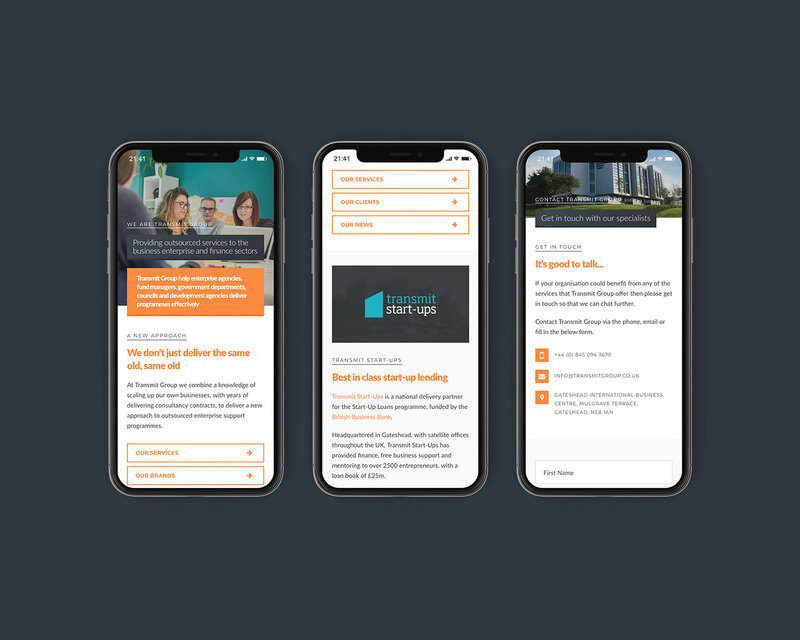 In summary, the new website meets the original brief by reflecting the tone of the Transmit Group as a business whilst helping their clients access relevant information, effortlessly. 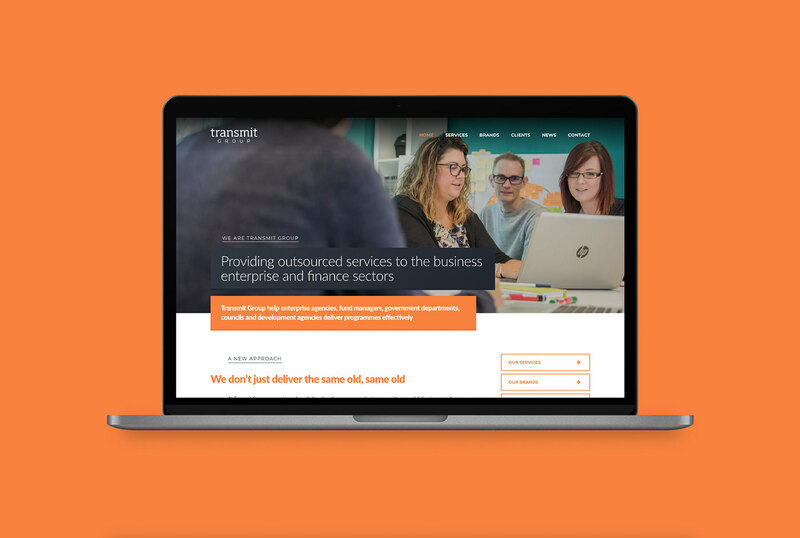 Website and branding for Transmit Group, providing outsourced services to the business enterprise and finance sectors.